Toybank reaches to one of the most vulnerable section in Ahmednagar by setting 16 toy libraries covering 3096 children in the month of September. 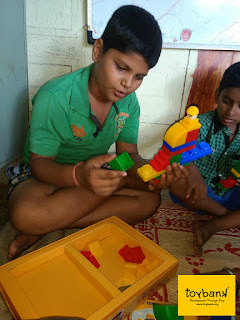 These kids are from Snehalaya – an organization who is working hard to get them out of the negative environment. 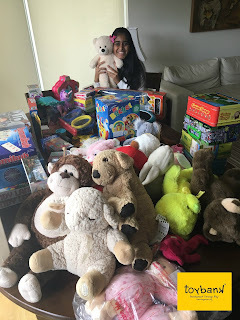 Our toy libraries will be part of Snehalaya’s Balbhavans – a project working towards the education and health of the kids. Toybank team conducted two days workshop on Power of Play for 35 teachers of Snehalaya. Our training focused on the importance of play in every child’s life and how it plays a big role in their overall development. Within the two days we demonstrated each and every game to the teachers and also conducted play session at one of their center. We now wait to go back and visit them soon….Only to see them play!